You’ve heard that saying before. Usually by some older person, about some topic that may have seemed irrelevant, but all I can say is it is true. The damn saying is true. As I age, now 35 years old at the time of this writing, I apply and say this saying in my head all the time. I wrote it off as unwarranted “wisdom” in my youth. Or as I started understanding politics, I wrote it off as political BS. But the saying and its application applies to everything in your life. Navigate to https://obsproject.com/download, and click the appropriate OBS Studio link for your operating system. This guide will continue with MAC OSX. Double click on OBS.dmg (or .exe for Windows) file downloaded, and continue through the installer. You’ll need to run root privileges to complete the installation. 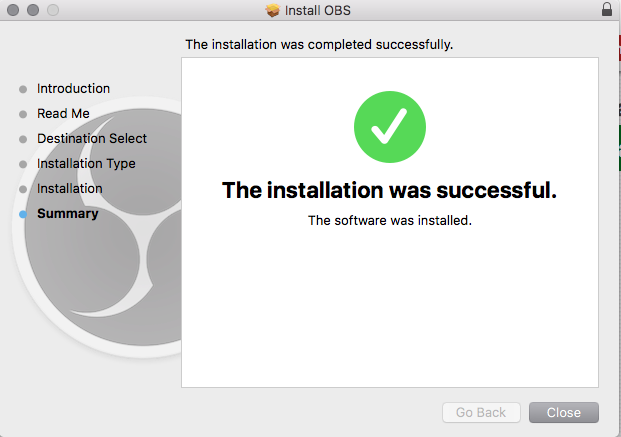 Launch OBS. I used Spotlight to find OBS and launch. Last Sunday (the 11th) we got to rest in our own bed again, after an 11 day trip to countries we never planned to visit. Of course based on the title, you smart folk can identify that it was Belize and Guatemala. My wife and I got married legally in a courthouse in July, but we wanted to have an intimate wedding ceremony with our immediate family. This trip was to do that AND vacation (see point #2 below). Vacation. We emphatically love jumping into other cultures and areas of the world to better understand things, people, and those we travel with. So how did Belize come into the picture? We’re both green people. That is, we’d prefer green trees and surroundings to beach fronts. Researching our dreamy place to have a small ceremony and vacation, somewhere in a rainforest perked up to both our ears.